will take you on a tour of Clarissa and Septimus' London while we visit some of the sites they traveled through. The events of Virginia Woolf’s Mrs. Dalloway take place over single day in London. As Clarissa Dalloway leaves her home in Westminster to buy her flowers, she is walking through an area of wealth, power, and deep-rooted tradition. Along Pall Mall there are a number of royally appointed hat makers, shoemakers, and tailors which serve the monarchy. Through her surroundings, Clarissa is from the beginning located in a specific social class and afforded privilege. Septimus, unlike Clarissa, does not have one linear route through the streets of London. His areas are described by his wife, Lucrezia or mentioned in his flashbacks. Regent's Park is one of the first places in London where we see Septimus and Rezia. It is one of the largest parks and is a very public space. It also helps to show us Septimus' anxieties about his return to London society and shows us Rezia's concerns for her husband and some of the embarrassment she feels about his behaviors. In the photo above, you will see different paths in different colors. Let us take a stroll through Clarissa's morning to get her flowers, that she said she would buy for herself, for her party. The photo album below will show you the images that correspond with the sentences below. The novel starts with Big Ben striking ten as Mrs Dalloway is crossing Victoria Street. When reading, we notice that Big Ben plays in an important role in letting us know the time in various pages of the novel. She has come from her Westminster home (“how many years now? over twenty”)- possibly in Great College Street. 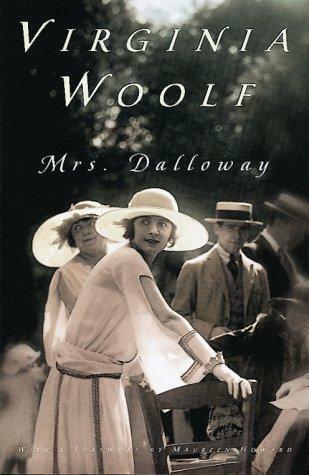 Soon, we are following Mrs Dalloway through Dean Farrar Street to Queen Anne’s Gate, and past the homes of two notable WW1 politicians, Sir Edward Grey and Lord Haldane. The novel happens on a fine morning in the middle of June when “The War was over.” In the park Clarissa saw “the trees and the grass, and the little girl in pink. Peter never saw a thing of all that,” Mrs Dalloway believes"
“The King and Queen were at the Palace,” Mrs Dalloway noticed as she walked through the park. Below is a photo of the Park gates where Mrs Dalloway might have stood for a moment, looking at the omnibuses in Picadilly. Picadilly has become the theater district with numerous wonderful plays and shows to chose from. But, word of advice, instead of purchasing tickets at the theaters, visit one of the half price tickets stands and see if they have what you want. After the detour to Hatchard’s, Mrs Dalloway headed for Old Bond Street. “Bond Street fascinated her.” and I must say that when I visited, it fascinated me as well! I enjoyed the wonderful little tapa's bar, sat outside at one of the local pubs and strolled the shops. Fell in love with Butler and Wilson and visited the street three evenings in a row. I find it interesting that it keeps popping up in the books I am reading and makes me desperately want to return. 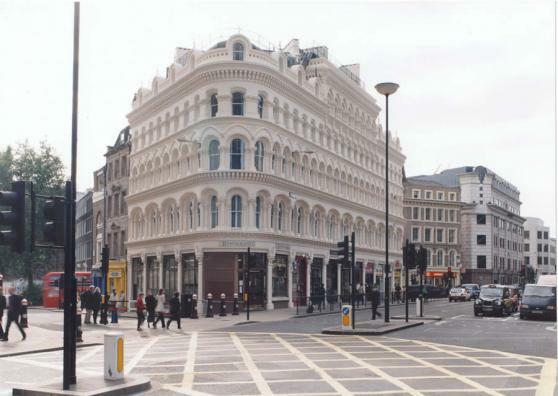 No fishmongers or florists here anymore and 121 Bond street is now a designer shop, Nicole Fahri. The “violent explosion which made Mrs Dalloway jump” occurred “precisely opposite Mulberry’s shop window.” Mulberry’s is still there. The explosion sends the novel away from Mrs Dalloway, and into the lives of Septimus and Rezia. They continue up the duller part of Bond Street, across Oxford Street and into Harley Street. Regents Park still has “the stone basins, the prim flowers” that Maisie Johnson notices. I visited several of the parks while I was in London but never made it to Regents even though it was a short walk from my hotel. Yet another reason for me to go back. If you visit London, there are several different "walks" one can take. I've included a link above to one of the best walking tour groups. While they don't have a Dalloway walk, they have several others to choose from. If you visit Kensington Gardens, you can take a stroll through the path that Princess Diana used to take. There are markers on the ground that will guide your way. Another must for first time visitors is the bus tour. Look for the double deckers that are open on top and go their ticket booth. Your bus pass will work for 24 hours and you can get off and explore an area that you like and then hop back on another bus to see the rest of the city.